It's Afternoon Tea Week! 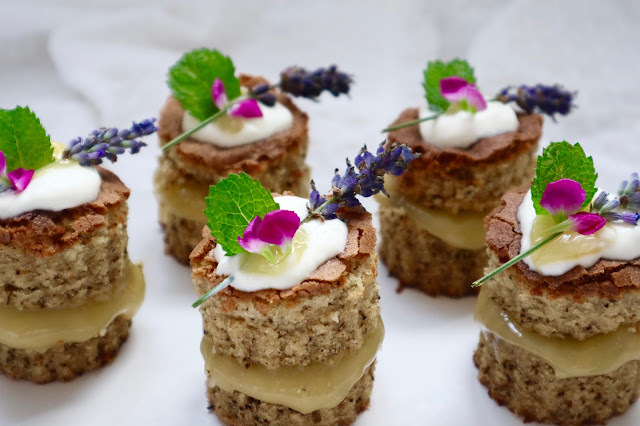 And what better way to celebrate a whole week of drinking tea and eating everything in miniature than making some delicious cakes that incorporate both of the best things about Afternoon Tea... Tea & cake of course!! Roll on We Are Tea, who got in touch to see if I wanted to create something using their amazing teas... Answer = absolutely! I'm a huge fan of We Are Tea already and drink it on a daily basis. I love how fragrant all their teas are and how full of flavour they are too - which is why I decided to include the tea into a sponge cake. >Pour in half of the milk and mix well, then repeat with the rest of the milk and flour. >Pour the mixture into a lined large baking tray and spread out evenly. Bake the cake for 30-40 mins or until golden brown and a springy to touch. Leave to cool on a wire rack for 10-15 mins. >Use a small cookie cutter to cut out circular shapes, cut those in half to create the sandwich layers. Enjoy and happy Afternoon Tea Week!